Origin: Selection. Species is native to Europe, Asia Minor to Turkestan, Himalayas: open woodlands, roadsides. Special Features: Mostly biennial, might be perennial after an early pruning. 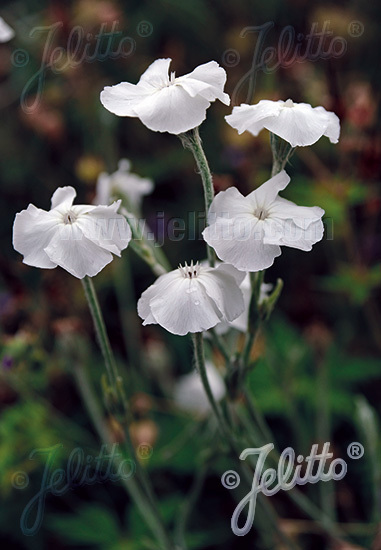 Pure white selection of the well known Rose Campion. 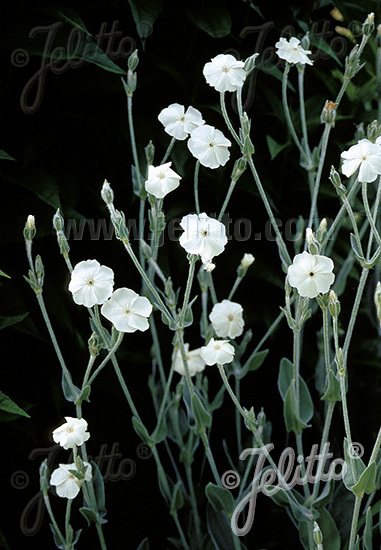 The bright white flowers are very nice for shady, dark places.Decorative white and silvery foliage. For natural and cottage gardens. Sows at a matching location itself. Easy to grow! 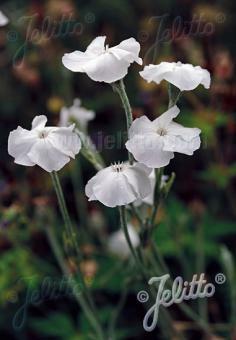 Sowing Time Hint: Mid or late summer is best sowing date for most biennial.